A man who apparently was staying in a wooded area along the flooded White Rock Creek is lucky that a northeast Dallas shop employee was closing up when he did. At about midnight Tuesday, the employee heard 38-year-old David Pope shouting for help along Northwest Highway at Lawther Street. The man had become trapped by the rising flood water. The employee called 911, who in turn dispatched the Dallas fire department and the Swift Water Rescue Team. 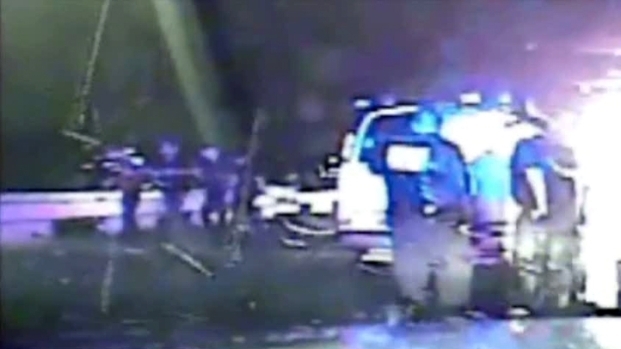 Three Dallas police officers arrived and captured the high-water rescue on their patrol cars' dashboard camera. 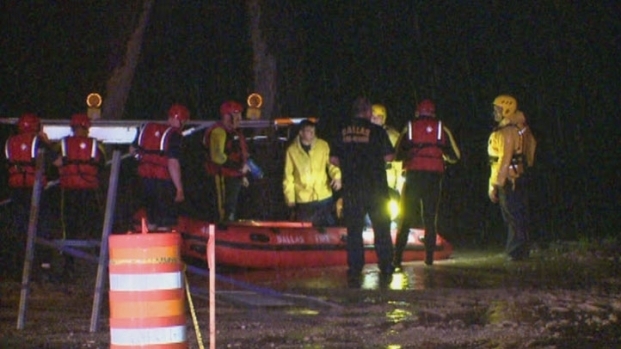 Three Dallas police officers rescued a man trapped in rising water at White Rock Creek. They said they could not see Pope, so they began shouting commands to follow his voice. "Every time that we would respond, 'Where are you at?' or 'Holler out at us,' he would just say, 'Help me,' or he would say, 'I'm here,'" Officer Brandon Rickman said. After several tries, the officers finally spotted Pope. The Dallas Fire Department and the Swift Water Rescue Team rescued the man after a passerby heard his cries for help. Several emergency crews were in the process of readying boats to retrieve him, but the Dallas officers could not wait. "Once we saw him, we just assumed to drag him out because we didn't know how long he'd been out there in the first place, if he was injured or not," said Officer Nicholas Smith. Smith and Tholl grabbed sticks and waded into the four-foot-deep water to bring Pope to safety. "He said he was real lethargic and cold," said Tholl. Paramedics immediately transported Pope to the hospital. Fellow officers at the Northeast Substation where the rescuers work said they are proud of them. "Day in and day out, they do a great job, but when something like this happens, they're really able to got above and beyond and true blue hero stuff, and it reminds of all of why we got into this line of work," Sgt. Alejandro Coss said. NBC 5's Justin Hinton and Kevin Cokely contributed to this report.